I have some issues with drawing. Years ago, my art professor suggested I draw starting upside down, and I did much better that way! He recommended a book called Drawing on the Right Side of the Brain which I found very helpful at the time. My drawing greatly improved! For me, it was a new way of looking at things that helped so much. It's exciting to find new ways of seeing things, especially with photography. 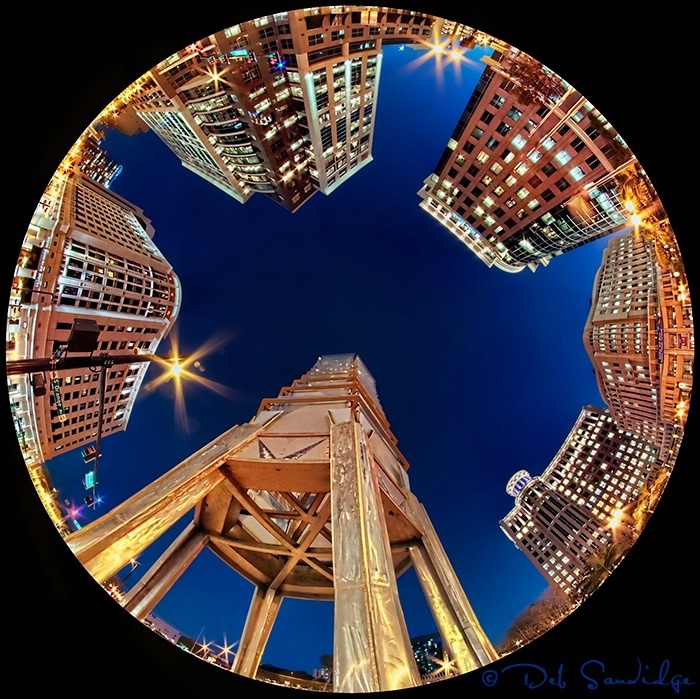 With the photo above, I used a different lens, a Sigma 8mm circular fisheye to create an interesting and fun perspective. The lens is pointed directly at the sky encompassing a 180° view, which captured the beautiful architecture that surrounded me. It's just very cool, I can't explain it, it's kind of like drawing upside down. I credit Joe Farace for the inspiration, he wrote a fantastic article on fisheye lenses a few years ago that got me hooked!